Netflix officially announced two new actors who have taken on key roles in the upcoming third season of Stranger Things. 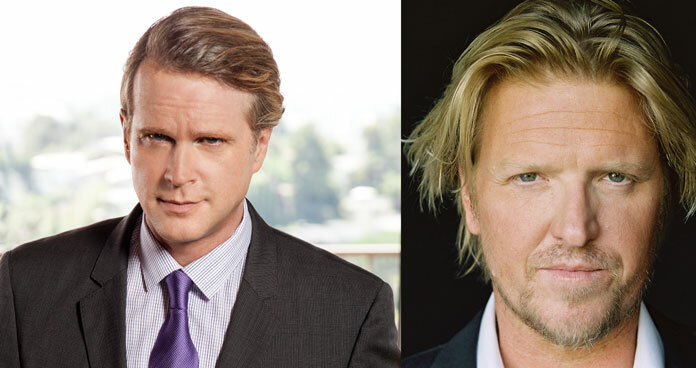 Cary Elwes has signed on as a guest performer in the third season, joining the cast in the role of Mayor Kline. Jake Busey is also a guest performer in season three, slipping into the new character, Bruce. Stranger Things was created by writers Matt and Ross Duffer. The cast of season two included Winona Ryder as Joyce Byers, David Harbour as Chief Jim Hopper, Finn Wolfhard as Mike Wheeler, Noah Schnapp as Will Byers, Millie Bobby Brown as Eleven, Caleb McLaughlin as Lucas Sinclair, Gaten Matarazzo as Dustin Henderson, Cara Buono as Karen Wheeler, Natalia Dyer as Nancy Wheeler, Charlie Heaton as Jonathan Byers, Joe Keery as Steve Harrington, Dacre Montgomery as Billy, and Sadie Sink as Max. Cary Elwes is best known for the romantic fantasy, The Princess Bride. His credits also include The Art of More, We Don’t Belong Here, Being Charlie, Elvis Nixon, Saw, and Robin Hood: Men in Tights. Elwes recently wrapped up work on The Billionaires Boys Club with Ansel Elgort, Taron Egerton, Emma Roberts, and Billie Lourd. Jake Busey, the son of actor Gary Busey and photographer Judy Lynn Helkenberg, has been acting in feature films since 1978. His credits include Contact, Enemy of the State, The Frighteners, and Starship Trooper. Next up is a starring role in The Predator directed by Shane Black (Iron Man 3, The Nice Guys). A Look Back at Seasons 1 and 2: A love letter to the ’80s classics that captivated a generation, Stranger Things is set in 1983 Indiana, where a young boy vanishes into thin air. As friends, family and local police search for answers, they are drawn into an extraordinary mystery involving top-secret government experiments, terrifying supernatural forces and one very strange little girl.